Whether you’re camping with young children or with old friends from college, safety is a top priority. Spending a weekend outdoors can lead to injury if proper safety precautions are not taken, so use our camping safety checklist to keep everyone safe and having fun on your next trip. Pack a first-aid kit with essentials such as personal medications, aspirin, sunscreen, bug repellent, tweezers, bandages, tape, sterile gauze pads, antiseptic wipes, antibiotic cream, cotton balls, poison ivy cream, and aloe vera lotion. Bring flashlights or lanterns. Make sure you have extra batteries. Always hike with a buddy. Keep children within eyesight at all times. Be on the lookout for snakes, tics, poison ivy, bees, and leeches. Never eat berries you find in the wilderness; they might be poisonous. Wear protective clothing, sunscreen, and sunglasses to prevent sun damage. Leave wild animals alone and never feed them. 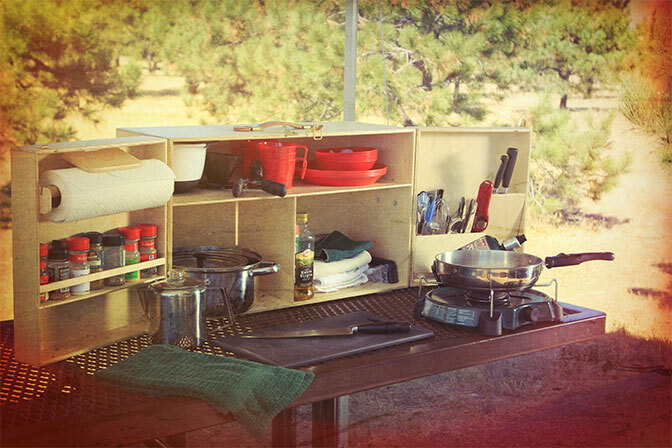 Keep knives and other sharp kitchen supplies stored in your portable kitchen and out of the kids’ reach. Practice good fire safety and never leave your fire unattended. Store food after meals so you don’t attract bears and other wild animals. Check the weather forecast before leaving to prevent being caught in a bad storm. In general, practice your best judgment on the campsite. If there’s ever a situation that seems questionable and potentially dangerous, it’s best to avoid it. Keeping food away from bears and acting calmly in an encounter with one are important strategies for staying safe while camping. When you’re not eating, keep food safely stored in bear-resistant containers. This will prevent the smell from attracting animals. You should also pack containers to store your leftovers and garbage. Never bring food inside your tent. If you can, set up your tent about 100 yards from where you store and prepare food. Before sleeping, change your clothes to get rid any food odors. If you come across a bear while hiking, do not run away. Instead, distinguish yourself as human by putting your arms out and slowly moving them up and down while speaking in a calm voice. Slowly back away, but make sure you’re facing the bear. If the bear attacks you, lie face down and play dead, protecting your head and neck with your hands. You can also use bear spray, but be sure to read the directions before camping. 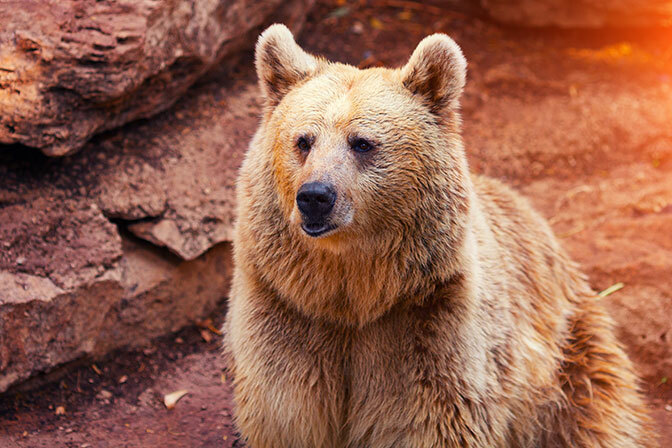 Visit the Grizzly and Wolf Discovery Center to learn more ways you can reduce the risk of a bear attack and keep out of harm’s way on your trip. The right tent can enhance your camping experience and make it more enjoyable for all. Before you make a decision, consider how you will be using your tent and what you want your shelter to provide. These four considerations will help you narrow down your option so you can make a practical decision. Do you only camp in the summer, or are you a four-season camper? If summer is your preferred season, you can select a tent designed to protect you from rain, heat, and insects. On the other hand, four-season tents are available if you like to camp throughout the entire year. These will offer additional protection against the cold and snow when needed. Consider the average number of people occupying the tent on each trip. If you mostly go on family camping trips, select a tent big enough for everyone to sleep comfortably in. Remember to account for any gear you may want to store in the tent. If you load your vehicle with camping gear and drive to the campsite, weight isn’t much of an issue. If you’re a backpacking camper and take your gear with you, opt for a lightweight option that will be easy to carry. There are a variety of special features some tents offer that you may wish to consider. For example, some tents have reflective strips for better visibility at night. Others have fabric zippers to prevent noise when it’s windy. Consider the various features available and decide what’s most convenient for you. Buying a tent can be a big investment, so make sure your decision best reflects your needs. With the right tent, you can feel more comfortable on your trip and enjoy the experience more fully. Camping is a time to experience and enjoy the wonderful beauty of nature. It’s hard to appreciate its wonder, however, when human activity has altered an environment’s natural state. Do your part to protect the natural environment you camp in by following these low-impact camping tips. Grounds fewer than 200 feet away from rivers or lakes tend to be soft and can’t withstand camping wear and tear as well as firm and dry dirt can. You should also avoid setting up camp in an area heavily populated with flora. Walking on plant life too much could eventually cause them to die. Soap pollutes waterways and can cause harm to animals who drink from them. Set up your own washing station away from the waterway and use biodegradable soap as well as naturally based cleansing products. Most campers don’t realize how their fires impact the environment. If possible, use a stove for cooking. If fires are allowed where you’re camping, be sure to use the fire rings or pans to keep it contained. While you can enjoy the wildlife and plants surrounding you, be respectful and don’t touch. When hiking, leave any rocks or plants exactly as you found them and don’t follow animals or feed them. Overall, your goal in camping is to leave the campsite exactly as you found it. Bring all of your trash with you when you leave. Bury human/animal waste and food scraps under the ground. These low-impact camping trips will allow you to enjoy the great outdoors without completely altering its appearance. Richard Louv may not be a doctor or a psychologist, but that hasn’t stopped him from influencing the way we think about nature and our well-being. A journalist, Louv has conducted extensive research into our relationship with nature. Featured in his book Last Child in the Woods, the condition he calls “nature deficit disorder” has raised critical issues every parent should consider. 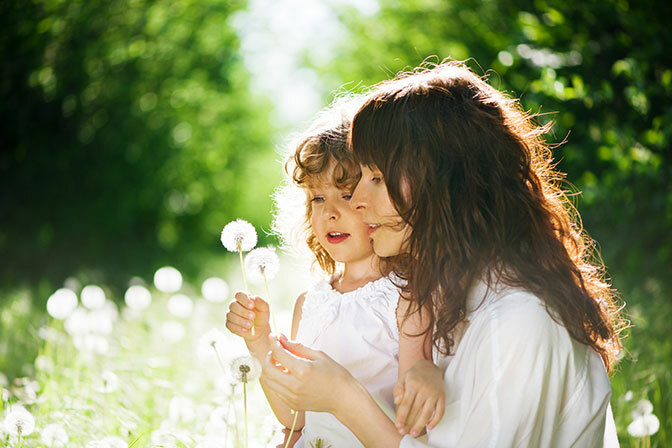 In case you haven’t heard of nature deficit disorder, the term refers to the mental and physical symptoms that can occur when kids don’t spend enough time outdoors. These symptoms include anxiety, depression, obesity, and attention deficit disorder (ADD). As you can probably guess, we at My Camp Kitchen believe in the positive effects of the great outdoors and are interested in Louv’s theories. Louv’s thesis is more than just a theory, though. His books have started an international movement to bring kids and nature back together, and they have inspired campaigns across North America. He has won prestigious awards for his work, including the Audubon Medal given by the nonprofit environmental organization National Audubon Society. Louv has been featured on national TV shows such as ABC’s Good Morning America. With Louv gaining recognition, more parents are becoming aware of the damaging effects of spending too little time outdoors on their kids. We hope they will be compelled to take action. So what’s the solution for nature deficit disorder? According to Richard Louv, it’s more time spent outdoors. In his latest book, The Nature Principle, Louv discusses his hopes for the future and challenges readers to rethink their relationship with nature. Trying to choose the best place to camp on your next big trip? While you can’t guarantee a perfect pick every time, you can choose a campground that is more suitable to your liking. Just consider these four questions during your search to help narrow down your options. 1. How much of the week do you want to spend driving? Even if you’re taking a week off to go camping, a lengthy drive can make it feel like you’re only getting three or four days to camp. Consider how much time you want to be on the road versus camping. If you would rather spend most of the week cooking up meals by the campfire and swimming in the lake, choose a campsite nearby or just a day’s drive away. 2. Are you bringing kids? 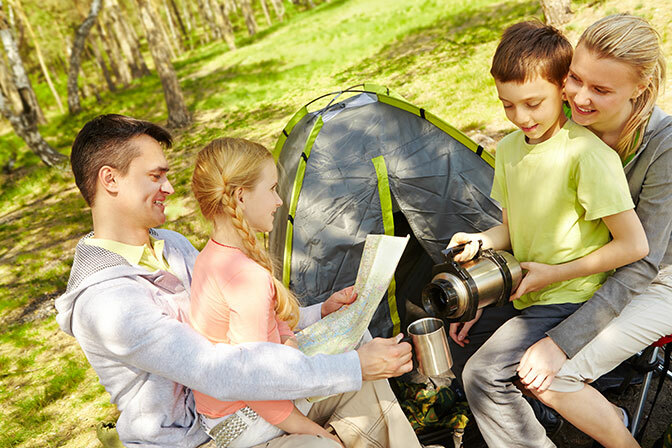 Children can play a large part in determining which campground you choose. If you have younger kids who aren’t experienced campers, it’s best not to travel far away or to an area without showers or bathrooms. If, on the other hand, your kids are older and have been camping many times, you can broaden your options. 3. What kind of outdoor activities do you enjoy? Activities like swimming, canoeing, rock climbing, hiking, and fishing are common camping activities, but some campsites have better lakes while others offer nicer hiking trails. Determine which activities you enjoy the most and then find the campsites considered best for each. 4. 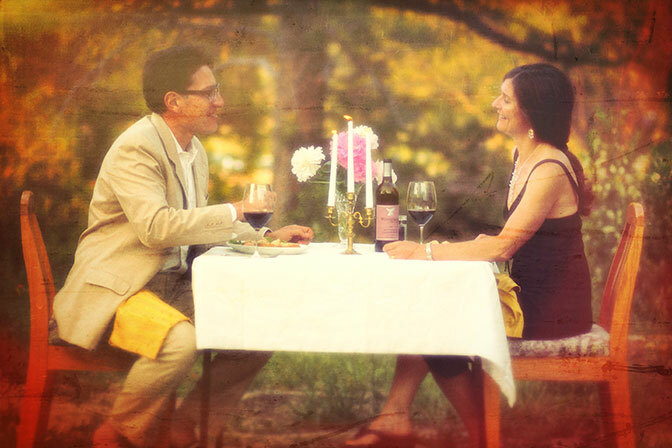 How authentic do you want your camping experience to be? If the thought of camping somewhere without typical bathroom facilities freaks you out, there are plenty of well-developed campgrounds that offer showers and toilets as well as a great camping experience. 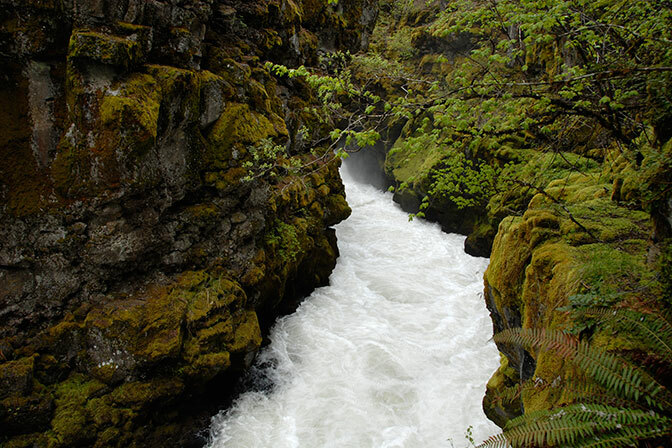 If your camping style is more primitive, then try to locate a spot that’s at least 100 feet away from a water source. No place is perfect, but these questions will help you get a better idea of what you’re looking for in a campsite so you can enjoy your trip even more!